Breathability meets durability in these trim fit training shorts. The 50/50 polyester and cotton blend fabric is strong, lightweight and breathable – making these shorts perfect for every workout. No need to worry about having to replace these shorts after multiple washes! These training shorts hold their color and shape better than 100% cotton shorts. The double-needle hemmed bottom provides the extra durability that athletes need. 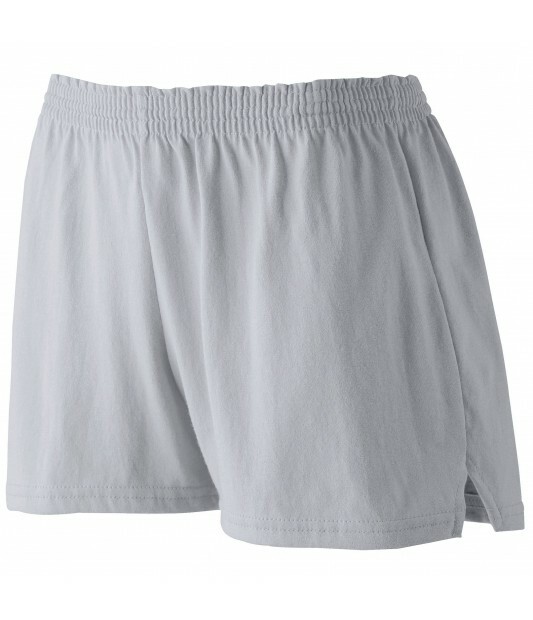 These training shorts are perfect for any workout, from solo runs to an impromptu tennis match. V-notch legs make it easy to move freely, and an elastic waistband ensures they stay put. With 15 colors to choose from you can customize our GIRLS' TRIM FIT JERSEY SHORT to your style! Also available in Women's sizes.